When it comes to health and fitness, you know I’m pretty vocal on some subjects. For instance, I have no use for any of the over hyped current trending “health/nutrition/weight loss” products that abound right now. I think these big multi level marketing companies prey on people who are needy and often are willing to grab onto anything that might be the “magic fix” to help them lose weight and get fit/healthy. For the tremendous amount of money it costs, I think, it would be better spent on good food, but hey that’s just me. 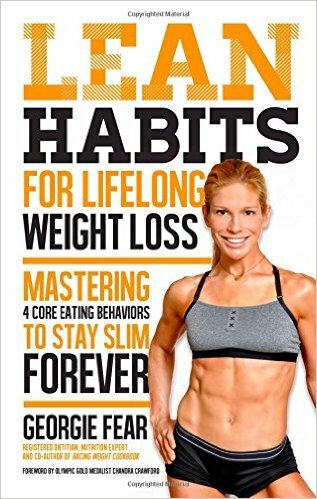 I’ve read various books on health and fitness. I take from them what I find useful and move on. Again, there are lots of books on the market, everything from diets and dieting to crazy trends. Again you know, I’m not into crazy fad or trendy diets. They just don’t flippin’ work. What has worked for me is changing how I do things in my life. How I do things, day in, and day out. Eventually, I built some new habits and in the process of doing that, I lost weight. I was out moving more. My body started changing. I was living my life and enjoying it and not feeling deprived or left out ’cause I had to “diet”. I wasn’t the poor victim at the family BBQ sucking down celery sticks and feeling miserable. I had occasional treats when I reallllyyy needed something. Playing by my own rules worked for me. I just plodded along letting the weight almost effortlessly come off in a slow, steady, and sane fashion. I didn’t push it. I wasn’t on a plan to get if off in “just a few weeks”. I think these tactics have worked for me…..
Now imagine my interested delight when I stumbled across a book that had shown up in my Facebook newsfeed via a fitness page I followed. It is based on learning and practicing 4 “core” habits…. Well, maybe I’ll share a couple I liked. She addresses dealing with emotional eating (hello?? who on plant earth hasn’t dealt with that ??) and another…being 100% aware of treats you eat.. I think that’s a huge area of struggle for many people. The premise is you will read and get familiar with one habit at a time, practice it, and move on to the next one. Georgie does a great job laying out ways to track your habits and be accountable with practicing them. I also loved the approach that “perfection” isn’t what is expected, but a steady forward movement of practicing these habits until they become, well, habitual 😉 thus forming a way you are living your life… easily losing weight and getting healthy and strong. It’s making your own routine that becomes natural and comfortable to you. No diets or trendy angles on food. No calorie counting or restrictive diets. Not being told what you can or cannot have and avoiding or cutting out your favorite foods. Not being restrictive and building new habits leads to permanent and sustainable weight loss. Another term I related to because it’s how I refer to my personal change is.….it’s not a diet, it’s a lifestyle. You will begin a lifestyle of freedom. As you move through this book learning about building habits you will understand your relationship with food and the how’s and why’s of interacting with it. This is a book I can get behind. I guess because I relate to so much of what is written and I know these principles can and do work. Please hear me…. this book… it’s worth your time reading…what I like best about it is that it’s practical and doable for anyone.. and I mean anyone. Therefore, since I’ve already stated how I feel about various health/weight loss/ diet things and I’m very particular about what I endorse and suggest to others….and you know I only hold out sane and reasonable ways to get fit and lose weight…. Your goals. Your life. Your success. Previous Previous post: Motivation. You Got This.